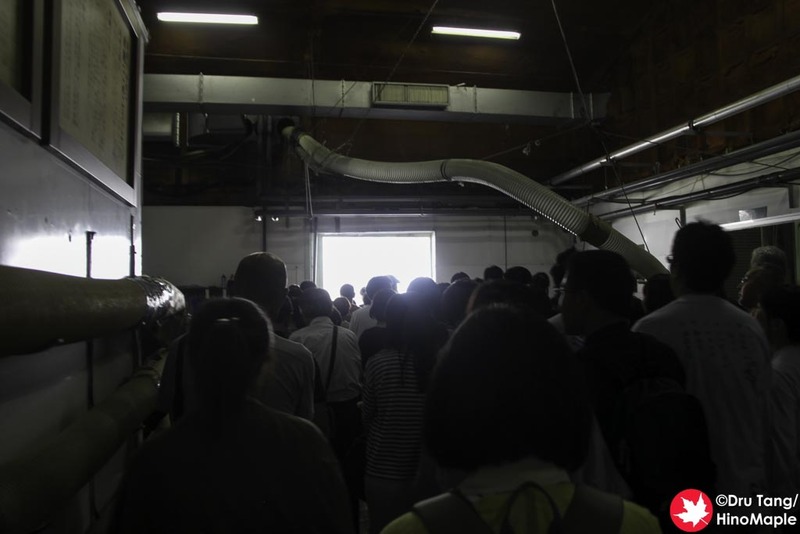 In May, I was invited by some friends to go on a sake brewery tour. 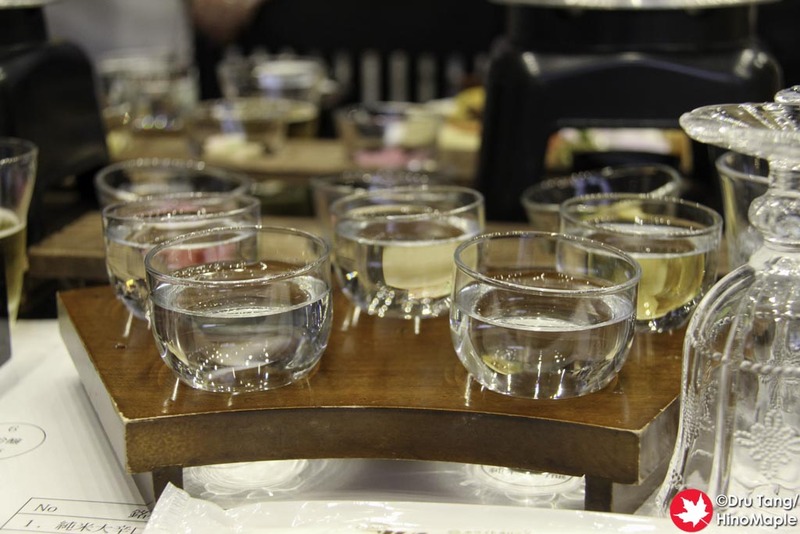 I have been on many tours but I really enjoy going to different sake breweries to see what they have. I was also very interested as this one seemed to have a dinner and tasting course for lunch. It was the best decision I had ever made and I am so happy that I went. 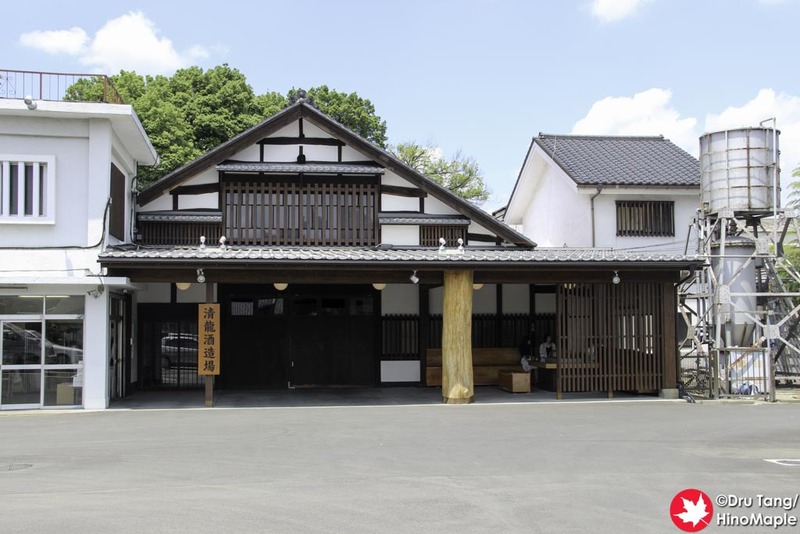 Seiryu Shuzo is a sake brewery located between Omiya and Utsunomiya at Hasuda Station. 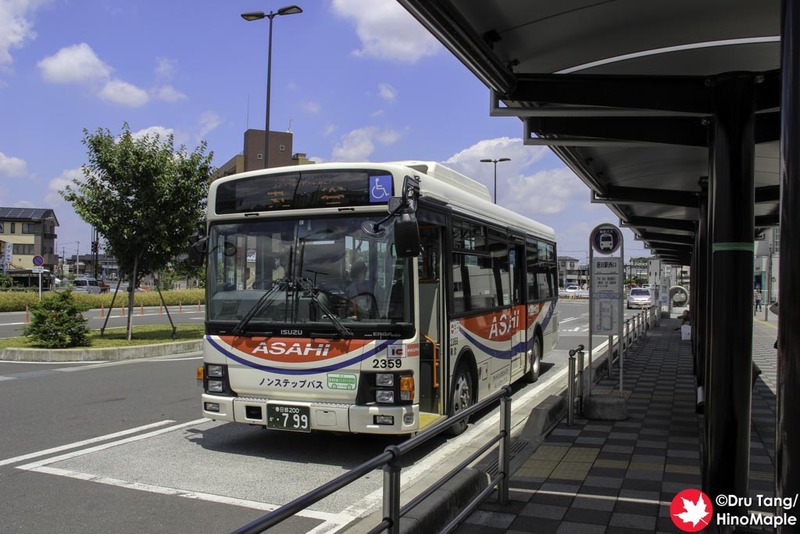 It is a 10 minute bus ride from Hasuda on the Asahi bus at the north exit of the station. The bus is usually very busy just before the tour starts as it is the only bus that heads to the brewery. The buses also depart roughly once an hour at best so you better not miss it. We were all packed into the bus so tightly that it felt like a morning rush hour train rather than a Sunday bus ride. The brewery is a short walk from the bus stop and it is your typical brewery. 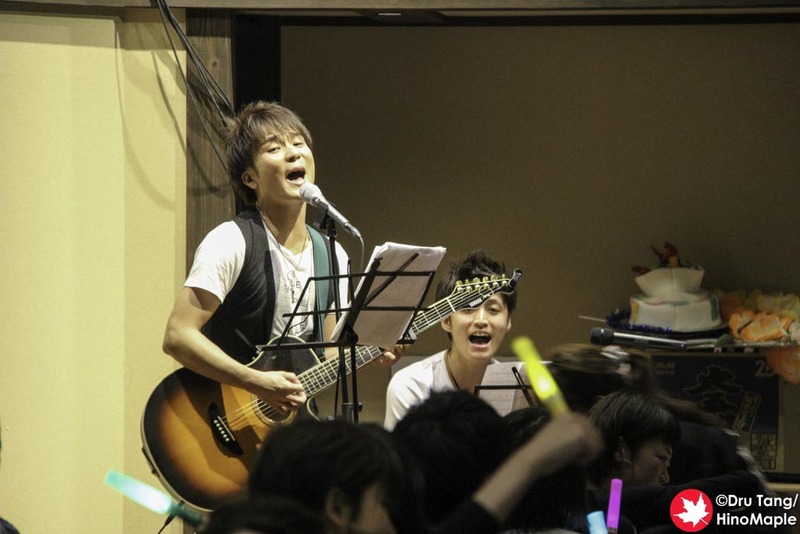 There is a small cafe that is usually busy before the tour starts. You can get some sweets and sake as well, but you probably don’t need it. When we arrived they were selling Ukon so that people wouldn’t get a hangover the next day. This was a warning about would happen during the day, but I didn’t heed it as I figured they just wanted to make money. I was then given a small postcard to fill out and I did my best to fill it out and get a free membership card. Seiryu has a special membership card that can be used to get special benefits when ordering their sake. Wherever they are selling Seiryu sake, apparently you can get extra sake with your order. I never tried this and I doubt I will try it as I usually avoid carrying extra cards with me but I got one anyways. We arrived just before noon for the 12:30 tour, the only one for the day, so we had a lot of time to just look around. If you have time, there are some interesting things in the main parking lot of Seiryu. My friends took me to a small “shrine” just behind the cafe. There is a small entrance to the side of the main building with a lot of trees and a torii. 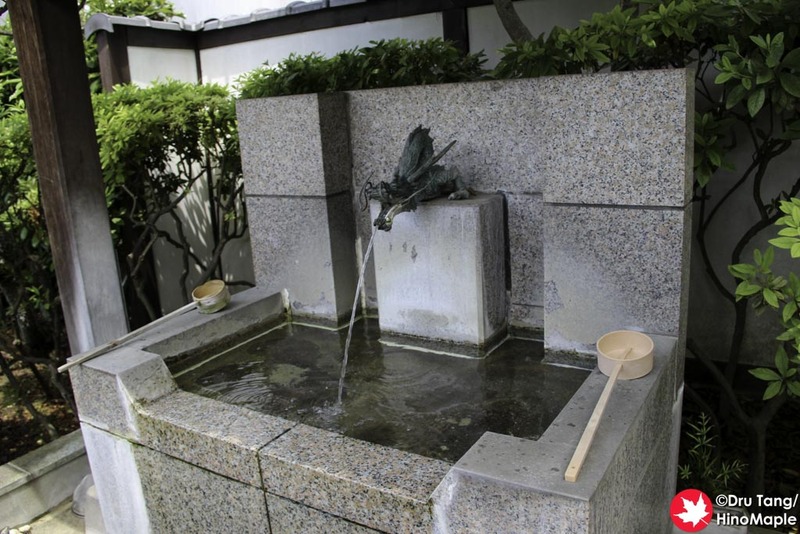 There is a nice little dragon with a water font so that you can wash your hands but I didn’t see any shrines. It was a nice little park and a good way to get started for the day. The tour starts with the CEO and a couple of helpers thanking you for coming as well as talking a little about the tour itself. I couldn’t understand everything as I was a bit tired but I do remember them talking about past events. The previous day they had a couple people who didn’t make it and were so drunk that they had a tough time helping them home. One person was stuck at the brewery till 7 p.m., so they were probably passed out for a few hours. The tour then heads into the main brewery. The CEO was conducting most of the tour and explained about the brewery process. 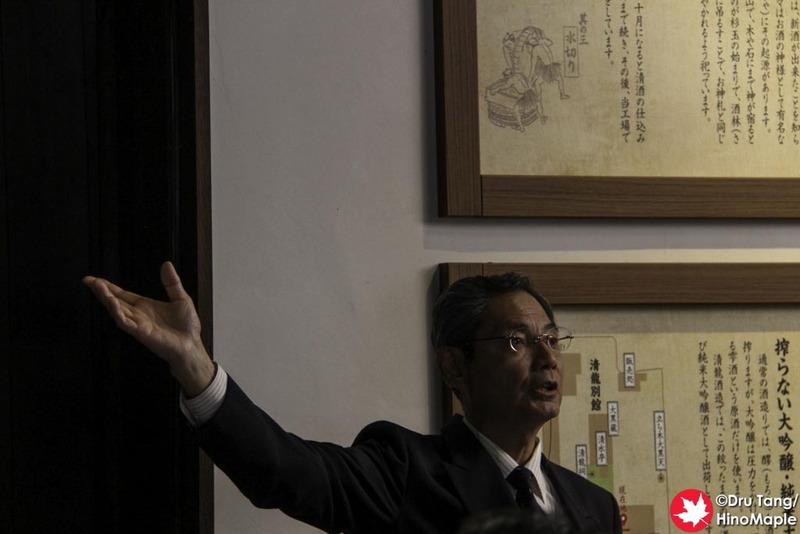 He was pretty funny and explained that the rice used in sake brewery had a unique smell. 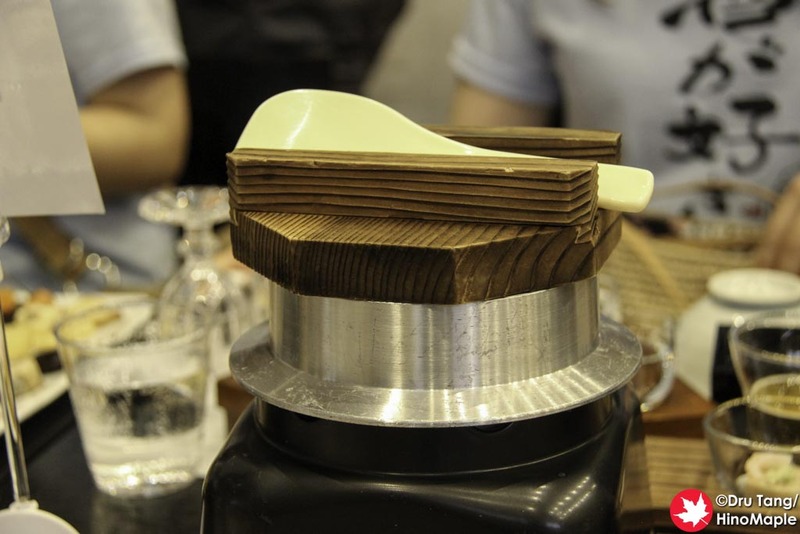 After the starches are broken down by the koji mould, it has a similar smell to natto. 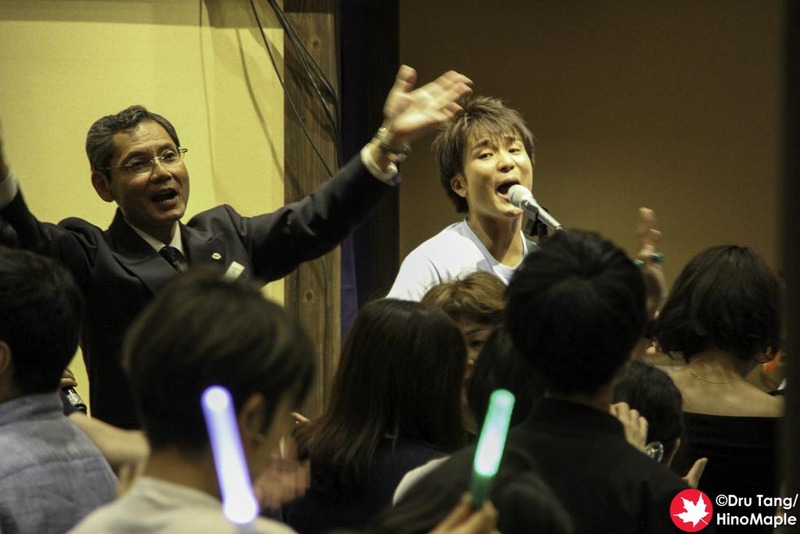 He warned the natto haters that they could leave at that point if they wanted. They then headed over to a small shrine inside the brewery entrance and proceeded to pray together. The room was pretty small, and the tour group had about 100 people, so it was impossible to fit everyone but everyone tried their best. The second part of the tour took us to some of the fermentation tanks before we stopped in a big room. The room was where they funneled the rice for cleaning and steaming. 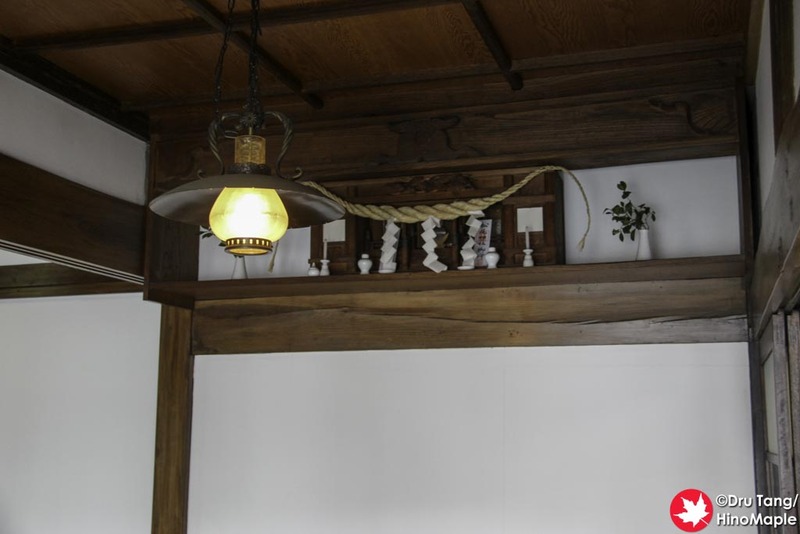 They also applied the koji mould in an adjacent room as well as pressing the sake itself after it was finished. They hand out a little koji rice which had broken down a little due to the koji mould. It was the first time I ever tried koji rice and it was interesting. I always heard it is similar to chestnuts and while that is true, there is a hint of natto in the aftertaste, hence the warning when you start the tour. It is definitely an acquired taste and I’m sure that’s why there was a warning before we tried it. 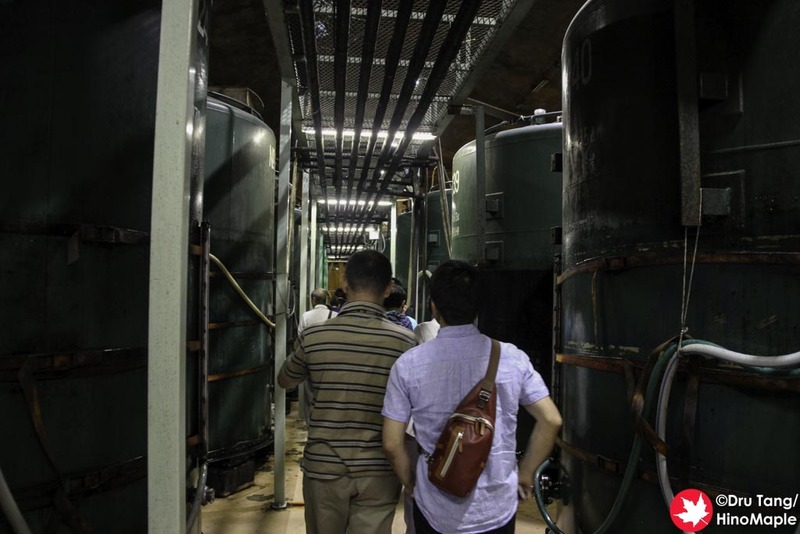 Once we finished, we took a quick tour of the aging tanks. I believe they also do a little fermentation there as well but these are huge tanks. We basically just walked through the area before we finished the tour. The tour itself is only 30 minutes and if you don’t speak any Japanese you’ll be very bored. 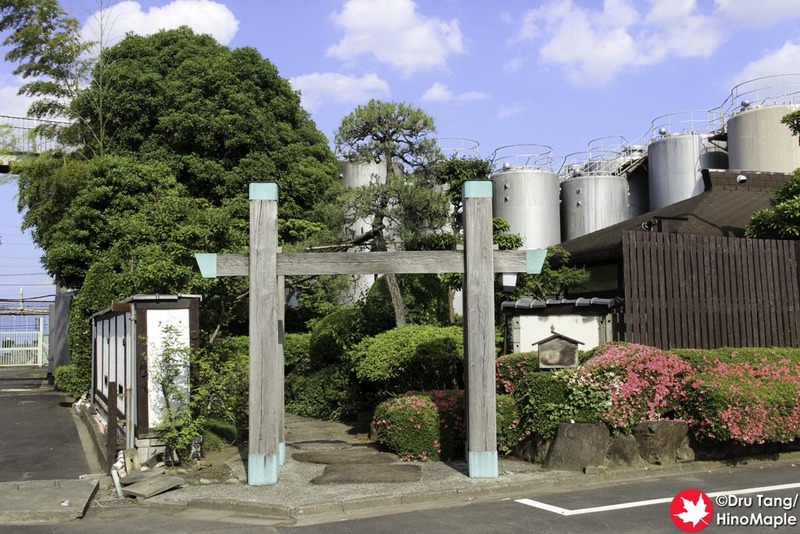 If you are interested in how sake is made, make sure you study about it beforehand so that you can understand what you are seeing. The main event for the tour is the tasting course. 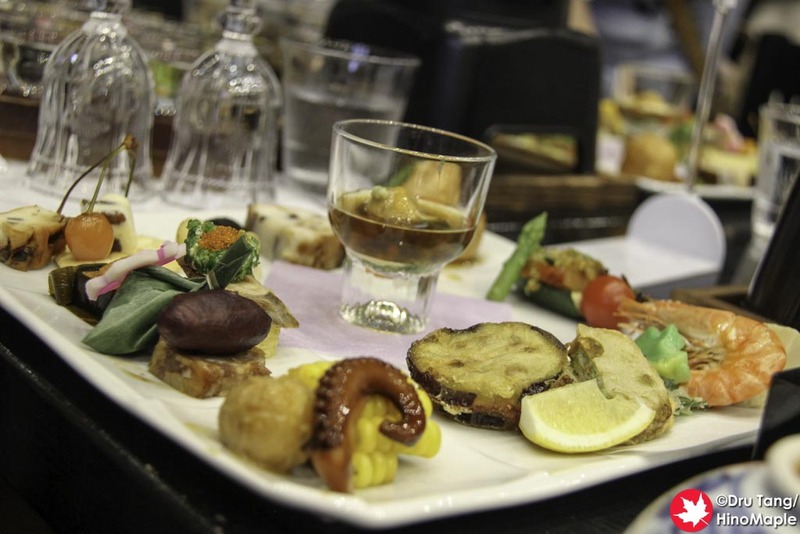 It is a full lunch with several types of sake. The large dining hall has 2 floors and a small stage. As we entered, the band was playing a little light music that had a very similar RPG sound. I’m sure they “borrowed” it from a famous tune just to set the mood. It took a while for people to get to their seats and settle down but soon enough the CEO was at the mic. They did a few words before they directed us to grab a small glass of beer for the first toast. Once we did the toast, it was time to eat and drink! The food was delicious. They had a large assortment of small snacks that ranged from traditional Japanese snacks to western snacks of cheese and crackers. There were also 5 types of sake already on the table ready to drink and we all started enjoying it. 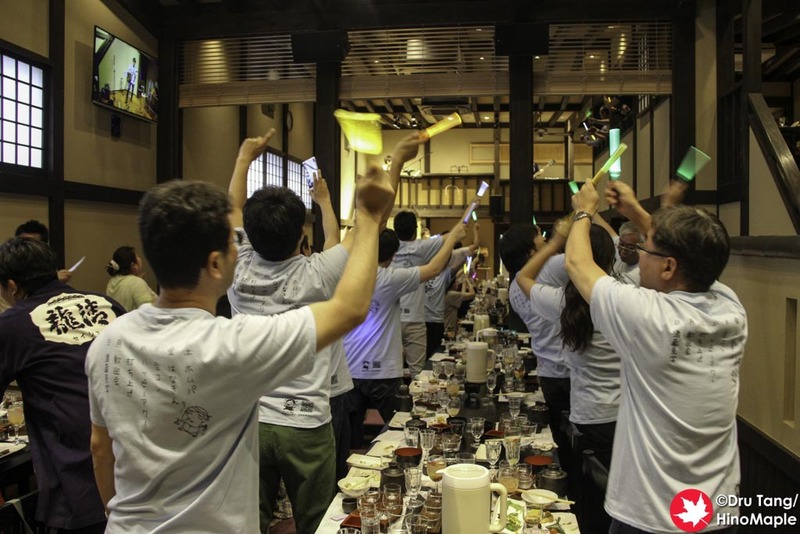 This was only the start as they soon brought out large bottles of sake and started filling a masu with sake. They filled it to the brim and came around to refill it as people wished. It was a beautiful thing to see but also a very dangerous situation. The main dish of the evening was the kamameshi, a pot of rice that was freshly steamed in front of you. You actually add a little sake before they light the candles underneath for cooking. 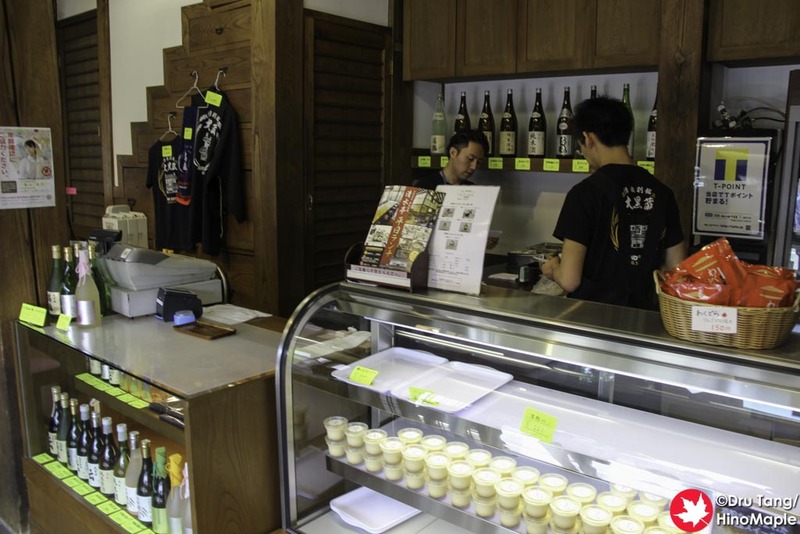 They also bring out more sake, such as a premium Junmai Daiginjo as well as sparkling sake. We also had a sake fruit cocktail that was about 8% and very dangerous to drink as it tasted like juice. The night was not over as the entertainment was a lot of fun. The band’s lead singer is a budding star and he sang a lot of famous songs that had the crowd on its feet. When the food was nearly complete they brought out some light sticks and everyone started to dance. It was a very crazy affair with everyone just having a lot of fun. They even had a birthday celebration for anyone who had their birthday in that month. 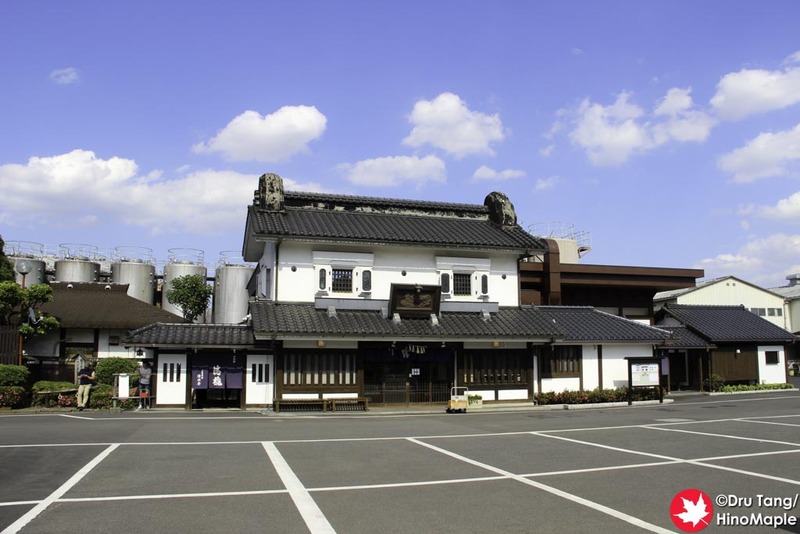 Seiryu’s sake tour only costs only 3000 yen and for the food and drink that you get it is a steal. I was really impressed by everything that they did and would love to go back again. 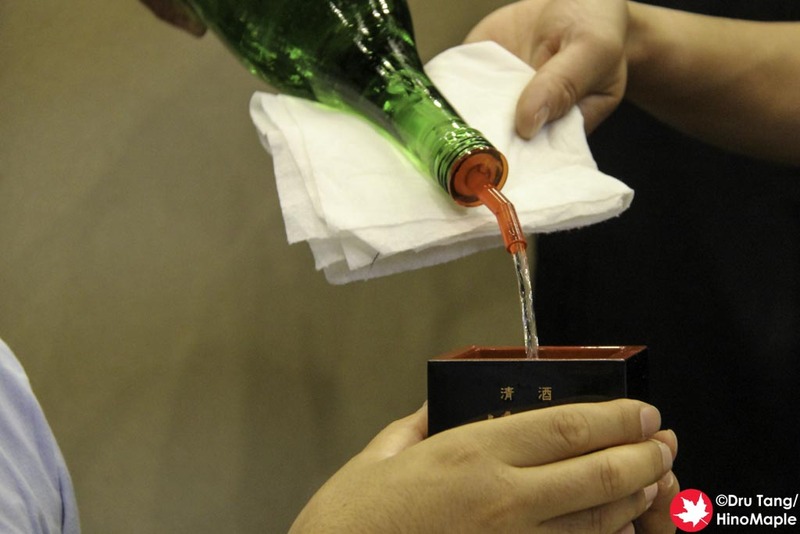 I doubt I will go back often as it is pretty popular; it is also very hard to go often as there is so much sake. I was the only one who finished all of the sake and everyone was surprised. It had been a while since I had so much but I was really happy. 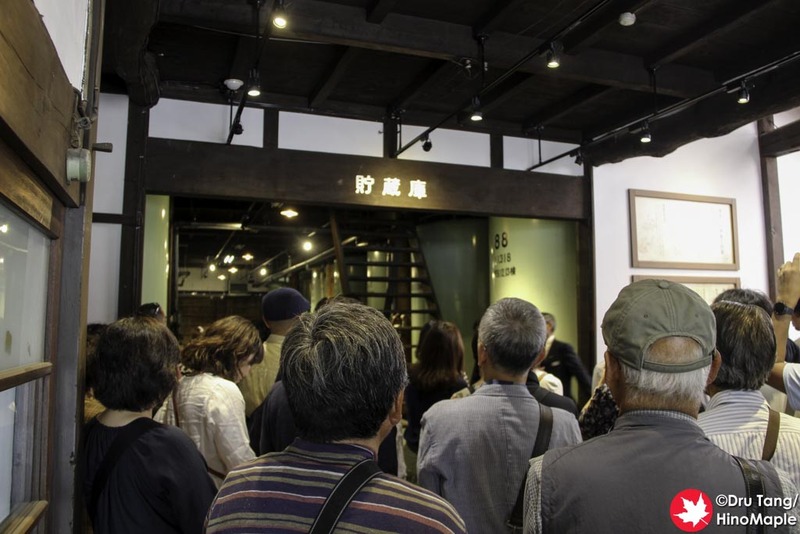 If you are interested in a good time, Seiryu’s sake tour is something you should try out. It isn’t too far from Tokyo and you will definitely have a good time. The sake wasn’t very good but it wasn’t bad either. 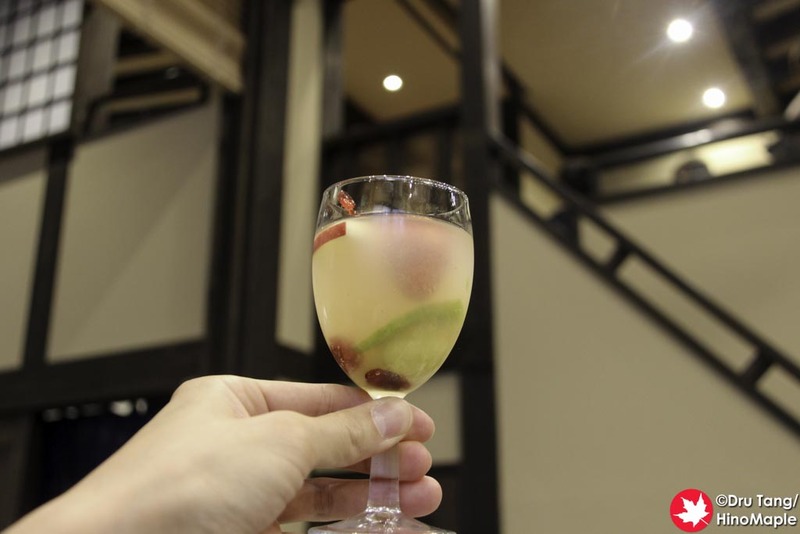 I am very picky about my sake and I usually only drink the fruity styles. Seiryu seems to focus more on the “lower quality” sake brands that have a lot more taste to them. It was all delicious and I was impressed by their hospitality as well and I hope to go back again next year. 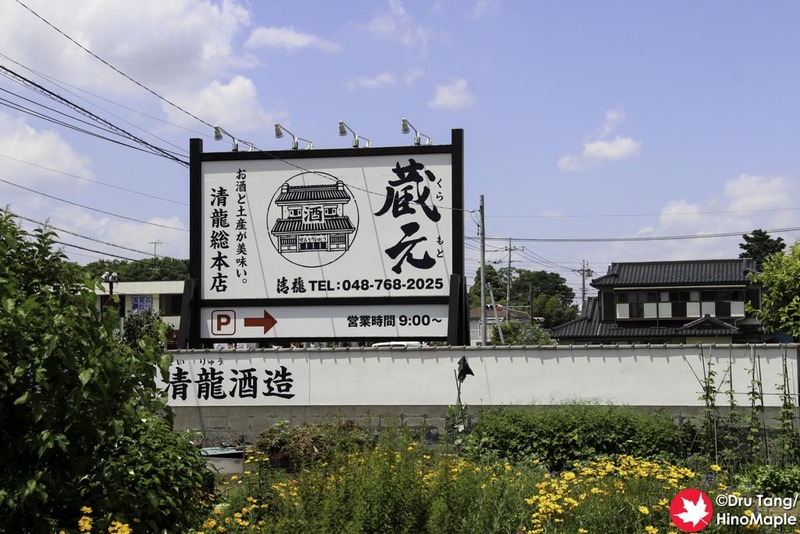 This entry was posted in Kanto, Kanto Food and tagged Hasuda, japan, Japanese sake, Omiya, Saitama, sake, sake brewery, Seiryu, Seiryu Sake, Seiryu Sake Brewery, Seiryu Shuzo by Dru. Bookmark the permalink. さけ, 酒, and more sake! Good for you to finish all sake! Food looks delicious too! It isn’t always good to finish all of the sake but it was good. The food was the best part though!